Kaleidescape has been manufacturing video and audio storage and streaming devices since 2001. 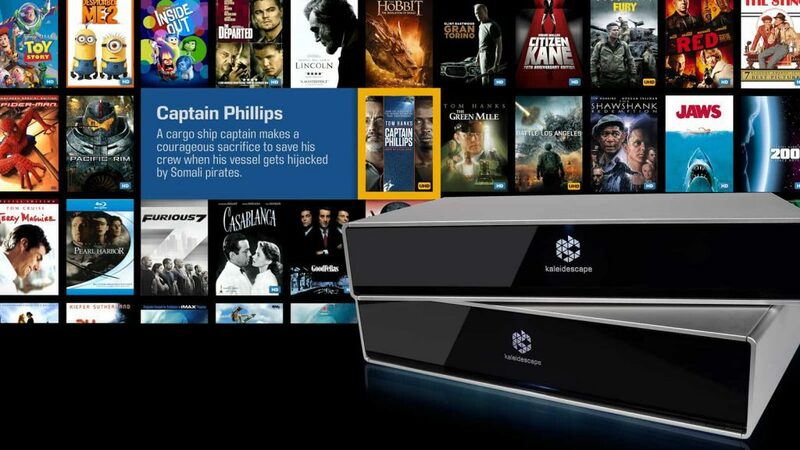 The current products from Kaleidescape allow you to download current and past movie titles from their store as they obtain the content and licensing directly from the movie houses and because the data is transferred directly from the movie house to Kaleidescape digitally the playback quality is better than Blu-ray! If you are a movie buff the pre-order feature is extremely special, if you pre-order a movie title from the store it will download when the data becomes available prior to the release date for Blu-ray, then on the official USA release date and time an icon will instantly become available on your unit to view the title immediately! Ease of operation is guaranteed with a lush and informative graphical interface as illustrated in the image above.